This book presents a fascinating historical study of the golden age of fraternal initiatory organizations in the late 19th Century in the U.S. During that period, more men were attending Masonic and quasi-Masonic lodges each week than were attending church services. Ritualistic lodge work was sought out by as much as 40% of the adult male population. 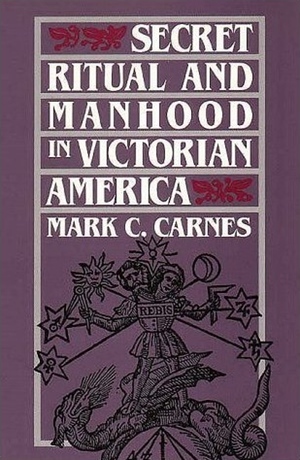 In Secret Ritual, Carnes leavens substantial historical data with dramatic vignettes of initiatory ritual and fraternal socializing from the period. He also provides some fascinating and suggestive theories about why lodges were so overwhelmingly successful in that period, as contrasted with their earlier marginality, or their later fading from view. This entry was posted in Hermetic Library Reading Room, T Polyphilus: Vigorous Food & Divine Madness and tagged 19th Century, attending church, books, diversity, dramatic vignettes, freemasonry, male population, manhood, marginality, mark c carnes, masonic lodges, Reading Room, reviews, ritualistic, T Polyphilus on December 30, 2012 by John Griogair Bell.